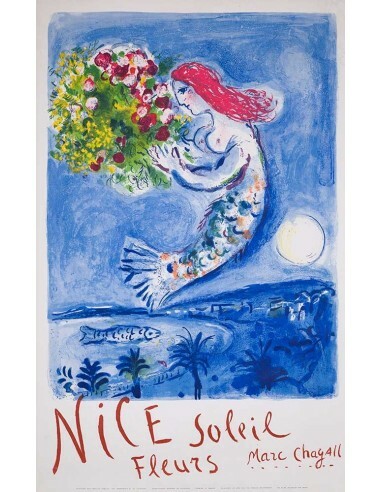 Original poster made by the French Tourism in a limited edition. Baie des Ange is the Baie in the town of Nice.. Stone lithograph made at the Mourlot imprimerie. 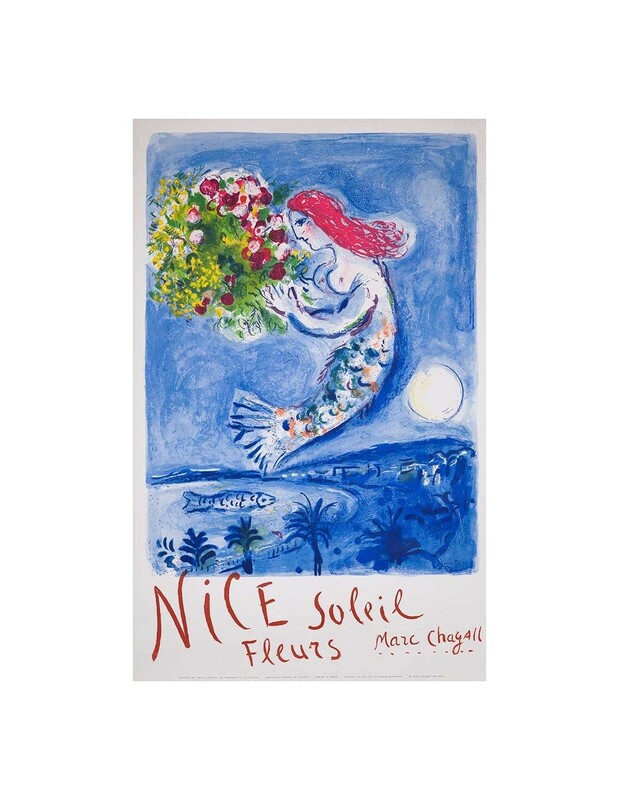 poster for an important exhibition of Marc Chagall's works presented in Japon. TThis was for a show of his printed works. Stone lithograph made at the Mourlot imprimerie.